A slate roof is one of the best investments you can make for your home. It’s durable and weatherproof, and – with proper care – can last for more than 100 years. In addition to working with a capable roofing contractor like us, the following are some of the things you can do to ensure you get the most out of your slate roof. Hire the Right Roofer – Having a quality roof to begin with can help prevent potential problems. 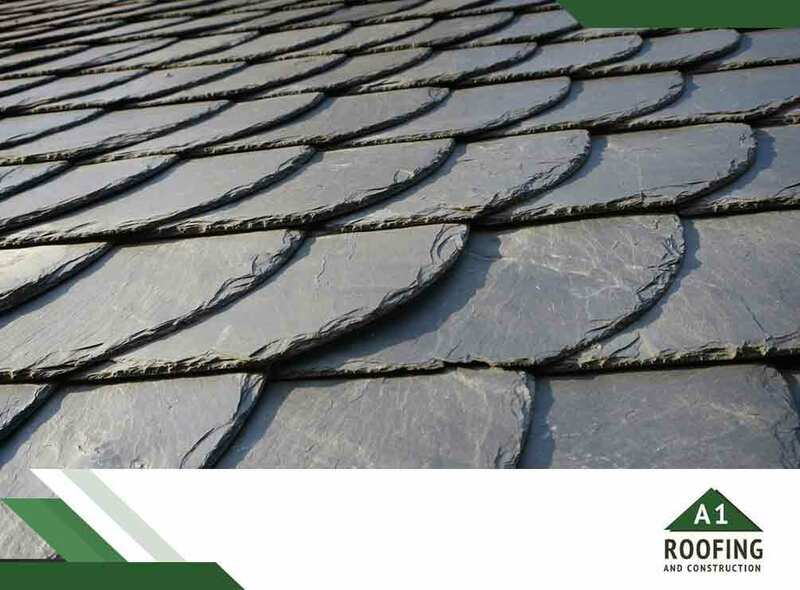 Unlike factory-manufactured roofing like asphalt shingles or metal, slate is a naturally occurring material, and the quality may vary depending on the source. Therefore, making the effort to find a qualified contractor with a proven track record of installing quality slate roofs is important. The same roofer can also help preserve your roof during its lifespan. Familiarize Yourself With the Roofing System – While there are similarities between slate roofs and most of today’s roofing systems, slate roofs have their own unique characteristics that are worth knowing. Being aware of its components can help you make informed decisions. This means, in addition to the outer roofing layer, you should also know how the underlayment, flashing and roof deck fit together to form a complete roofing system. Conduct Regular Inspections – You’re not expected to perform roof repairs under any circumstances. But, conducting regular visual inspections and calling our attention to conditions that need to be repaired as soon as possible can make a difference. Replacing one or two broken slates is a simple and inexpensive repair effort. On the other hand, leaving them as they are and allowing rainwater to penetrate the broken slates can lead to water intrusion, which leads to more extensive – and expensive – repair work. Stick With the Maintenance Schedule – Scheduled maintenance is like giving your slate roof an annual physical exam. There are certain conditions that may only be spotted by trained roofers like us. In conjunction with your regular inspections, scheduled maintenance helps ensure that all potential issues are addressed in a timely manner. With all of these considered, you can rest assured knowing that you have a roof that will stay on your home for generations to come. To learn more about our slate roof repair, maintenance and installation services, call A1 Roofing & Construction Company today at (401) 265-1019. You can also fill out our contact form to schedule a free no obligation quote. We serve many areas in and near Providence and Warwick, RI, and New Bedford, MA.